Reid Hinshelwood is a Relationship Manager at Balentine. She provides comprehensive wealth management advice to high-net-worth individuals and their families. 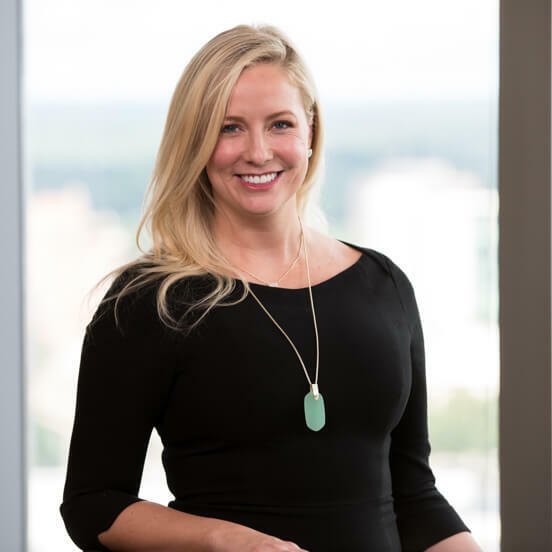 After earning her MBA with a concentration in asset management from the University of Virginia’s Darden School of Business, Reid worked as a private wealth advisor at Goldman Sachs for four years. Reid has a BA in art history from Florida International University. She began her career in the art world, working for six years at Neal Auction Company as a director and auctioneer. How and why did you get into wealth management? I came up in the art world, having studied art history as an undergraduate, after which I went to work at a boutique art auction house. At first blush, these two fields are worlds apart. However, both require you to know your clients and their balance sheets on a deeply personal level and to provide specialized advice on high-stakes topics, such as creating and preserving family legacies. The draw for me is making a meaningful difference in my clients’ lives by working side-by-side with them to craft and fulfill their missions for loved ones, for philanthropic purposes—whatever it is that matters most to them. No matter how exceptional your investment team, no one has a crystal ball when it comes to capital markets—there will always be a level of uncertainty. Advisers must buffer and complement that uncertainty with innovative and thoughtful structural advice on wealth planning. My fellow relationship managers and I organize highly complex client balance sheets in a cohesive manner and provide proactive planning advice. If you were abandoned on a deserted island, what three books would you want to have at hand? The Last Convertible by Anton Myrer, Seraph on the Suwannee by Zora Neale Hurston, and John Adams by David McCullough.